Allegations of misconduct by one of the partners. Disputes over resource allocation and distributions. Disagreements about the terms of the partnership agreement. Workload imbalance between the partners. At the outset, partners should have a clear understanding of their partnership obligations, how the partnership assets and liabilities will be managed, and how disputes will be resolved. That understanding should be outlined in a partnership agreement. The partnership agreement and related documents will help to manage partners’ expectations pertaining to the partnership operations and the other partners. Using a good, comprehensive partnership agreement to clarify partners’ understandings and manage their expectations is key to keeping partner disputes to a minimum. It also gives partners a way to resolve dispute if and when they do arise. Here are a few pointers to consider in drafting or amending your partnership documents to help prevent some of the common causes of disputes. Hiring a good attorney to assist you in preparing your partnership or operating agreements and related documents is essential to ensuring that the partnership documents clearly address all material aspects of the partnership’s operations. A good set of partnership documents should help reduce the frequency and intensity of disputes. Discussions with counsel can help clarify the partners’ understanding of their legal obligations to each other and to their clients. Counsel can help manage partners’ expectations by making sure that the partnership documents are professionally prepared in accordance with applicable state laws, that they clearly spell out how the partnership business will be managed, that dispute resolution procedures are discussed with and understood by all partners and controlling shareholders, and that partnership policies and procedures are included in the partnership’s official business records. If your partnership agreement does not have a dispute resolution provision, you should have a discussion with your partner(s) about developing one. Reaching an understanding on a way to resolve disputes is itself a way to manage expectations about resolving important partnership matters, such as business management and allocation of resources. It will also inform partners’ judgment about how aggressively to push a disagreement, particularly on less significant issues. Not every dispute needs to be resolved through a formal dispute resolution process. Is there a subject or an area of responsibility where one single individual or partner can be authorized to make final decisions on a topic of dispute? Perhaps the partners can agree that an attorney who is experienced in your business operation or who is known and respected by the partners would be an ideal person to help resolve such issues before they get out of hand. To avoid conflicts of interest, that attorney should not be the same attorney who drafted the partnership documents. When you initially created your partnership or LLC, you could have established a buyout agreement that specifies the terms and conditions under which the partners could buyout a partner or shareholder, or force out a non-performing partner or manager when such that individual refuses to depart voluntarily. If you do not have a buyout agreement or a similar provision in your documents, you should consider negotiating with your partners or shareholders to get one in place. The buyout agreement should require mediation or arbitration if any disputes arise over its implementation. Openly discuss with your partners your anticipation of increased business activity and plan how the workload should be shared among the partners fairly. This can help you avoid resentment that builds when one partner is doing a lot more work than another partner (or believes that is the case). 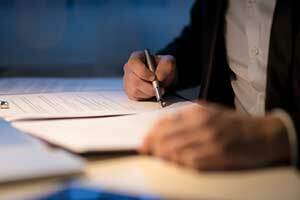 Your operating agreement likely specifies what agreements must be memorialized. Consider making sure every business agreement you make with your partner or shareholders is in writing. Too often, partners work with each other casually on the more minor business operations, they develop a trust and comfort level with each other, and they know they can rely on each other’s word. When a disagreement arises, however, they may have different recollections on what was said, or meant, on a particular decision-point. A dispute then arises. This dispute may have been avoided if the partners made a business practice of putting their agreements in writing, and make them official records of their business. The practice has the added benefit of making sure the subject of the agreement is discussed, clarified, understood, by all of the partners and agreed to by a majority of the partners. Engage in Direct Negotiation. Addressing the issue directly with your partner informally may resolve it. It may need to be discussed privately and later more openly with other partners, depending on the circumstances. If the dispute affects your staff, is it an issue that they can help you resolve? If the dispute is too large or too heated to resolve through direct negotiation, use the dispute resolution procedures in your documents, or participate in mediation with a neutral third party. Avoid Taking Disagreements Personally. Stay open-minded to your partners’ different points of view, and do not make a disagreement a personal one. Be Willing to Engage in Alternative Dispute Resolution. Many mediation services are available at a price that will depend on the complexity of the dispute resolution. 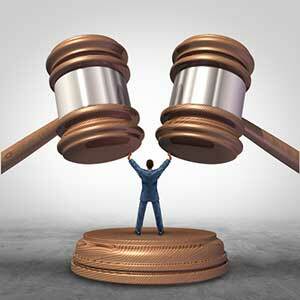 The cost is usually less than the cost of litigation or dissolution. The most difficult dispute may involve a non-performing partner and the decision to get rid of the individual. Review your partnership documents to determine if you have a buyout arrangement in place and assess whether a buyout offers a viable path. If you have no buyout agreement in place and direct negotiations did not work, you still have a few alternatives. Partnership and LLC documents usually provide some procedure for the controlling owners to vote out a non-performing partner or manager. Some agreements require “cause” and the burden will be on the ousting partners to show cause. You will need to follow those provisions. In the absence of such a provision, your partnership or LLC may be faced with dissolution if your partner refuses to change or to leave voluntarily. In a partnership or LLC giving the partners equal control, the partners have little ability to oust a partner who won’t leave voluntarily. In these cases, a buyout offer may be the impetus for the partner to leave. Your non-performing partner or manager will need to agree to mediation or arbitration to settle the disputed ouster. If the partner will not agree to alternative dispute resolution, will not accept a buyout, and your partnership agreement is silent on the ouster, you will need to consider civil litigation under your state’s business laws. Most state statutes have procedures and conditions under which partners may force another partner out of the business. In the end, realize that your primary goal is to keep the business going with minimal distractions over disagreements with your partners. Take steps in advance to anticipate disagreements and manage them as best as you can before resorting to formal resolution procedures. 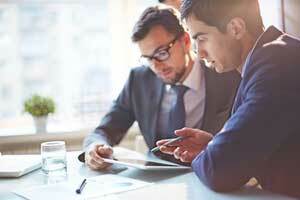 An attorney experienced in partnership disputes can help you identify potential problem areas and mitigate them before they grow into real disputes. An attorney can also help you work through any disputes that have already arisen.